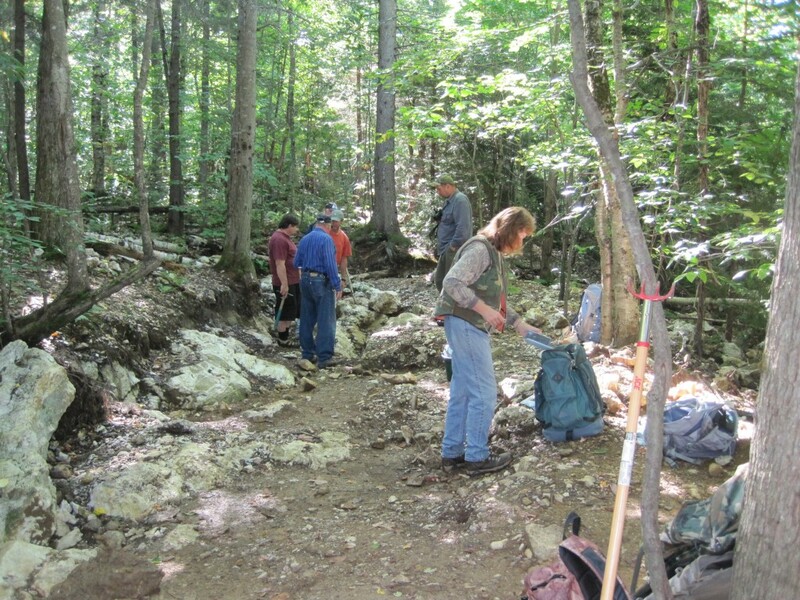 The Presidential Gem and Mineral Society will lead a trip to the Crystal Mine on the Randolph Community Forest, known among cognoscenti as the Randolph Quartz Location, on Saturday, July 27th. All are welcome. You can join the trip by meeting at the Bowman Trailhead at 9:30 am. Some rough walking is involved, so wear appropriate footwear and remember bug protection. The Society members will likely bring lunch and spend the day, but those who want to leave around noon may do so. 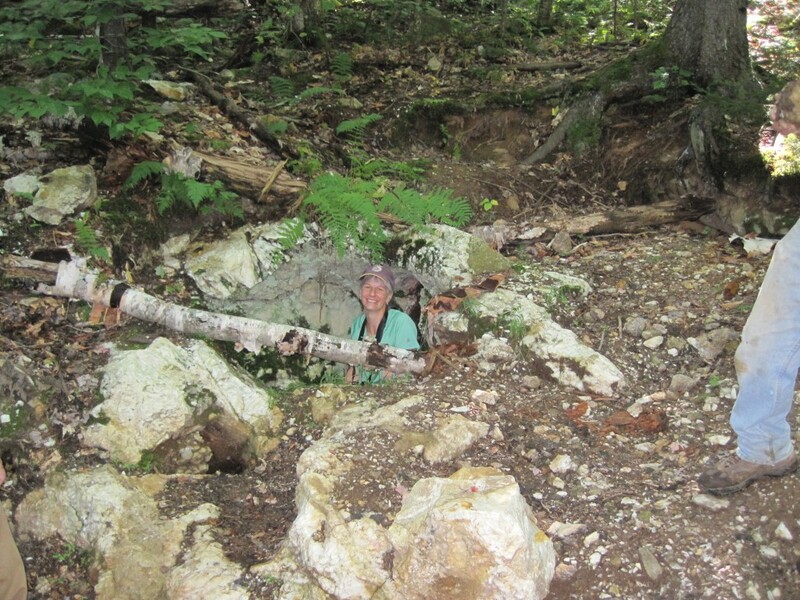 Randolph’s Jenn Barton explores the crystal mine. The Crystal Mine was subject to depredations last year, and the visit will determine if they have continued. New measures have been adopted and a sign announcing them will be installed. The Town of Randolph has declared this mine to be a natural area and resource, so that it is now protected by state law. Members of the Presidential Gem and Mineral Society on a recent trip to the Randolph Town Forest crystal mine.